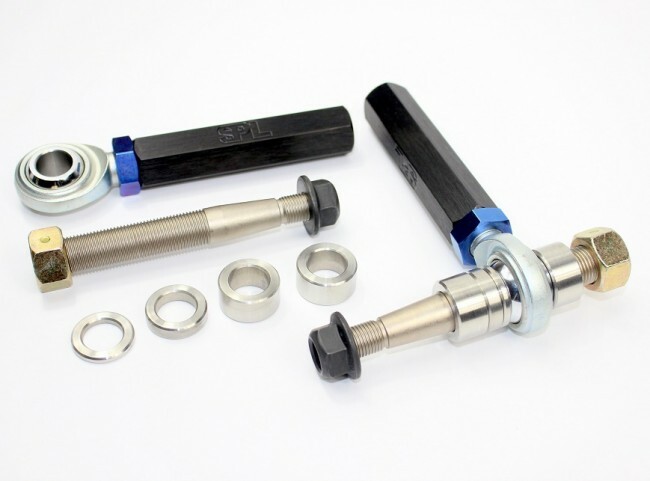 Our front tie rod ends allow the tie rod end pivot to be relocated, which will correct bump steer resulting from modified caster or lower arm geometry, thus reducing lap times. 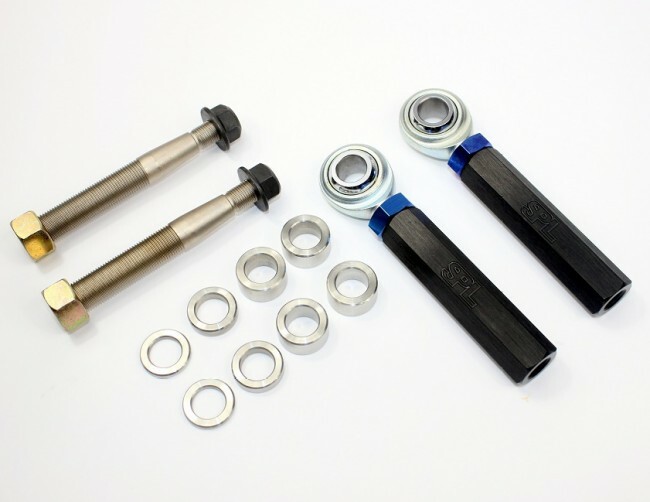 On cars that are lowered significantly, relocating the pivot point will also keep the tie rod end from binding, thereby preventing the inner tie rods from breaking or bending. 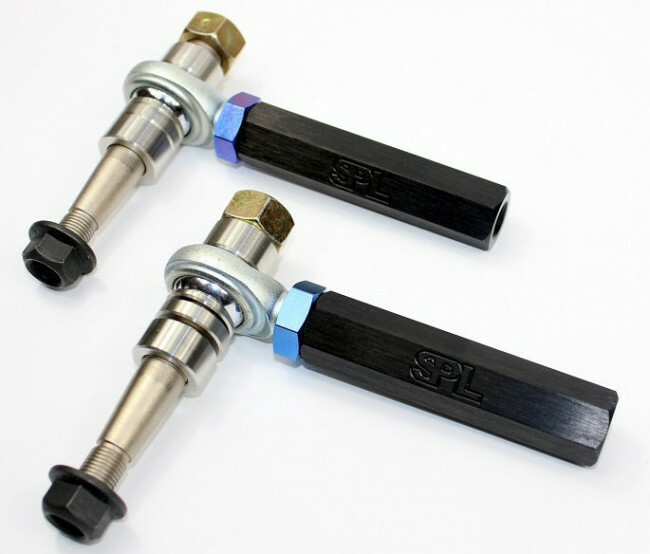 Precision CNC machined and heat treated 4140 Chromoly shanks are utilized to handle the abuse of racing and drifting. Also features stainless steel spacers and black anodized and gundrilled 2024 aluminum alloy turnbuckles for lightweight strength. 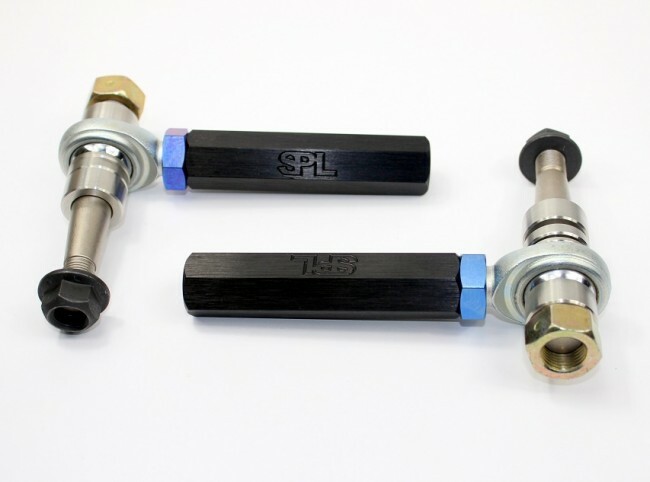 Teflon lined FK rod ends prevent tie rod end binding on lowered cars offering 26 degrees of articulation.